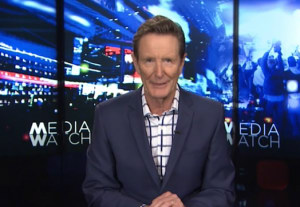 The Daily Mail has turned the tables on Media Watch, questioning the ethics of host Paul Barry and story editor Jason Whittaker after the program called out the publication for plagiarism. In the latest episode, Barry addresses the Daily Mail’s “brazen theft of other people’s yarns” following an investigation that saw more than 100 journalists come forward with stories of their work being stolen by the publication. It dedicated the entire episode to the topic, instead of its usual four short segments, adding that while all media steal stories from time to time, the Daily Mail does it on an “industrial scale”. Barry argued the dodgy practices of the Daily Mail “threatens the future of journalism, because it takes revenue from mastheads that rely on it for their lifeblood”. 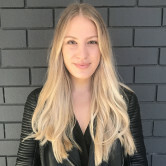 Media Watch said journalists at the ABC, Nine, News Corp, Fairfax, the New Zealand Herald and a bevy of freelance journalists like Ginger Gorman, have all had their work stolen by the Daily Mail, including photos, videos and original research. In response, the Daily Mail has swung back, slamming Media Watch, Barry and Whittaker for its “juvenile attack” and labelling the program as bias. The article, published under the byline of the Daily Mail team, pulled old tweets from Whittaker that called the publication a “festering boil on the arse of Australian media” and another from Barry that said it was a “disgrace”. It questioned the independence of the media watchdog and called for the Media Watch team to review its objectivity. “Daily Mail Australia has no problem with other journalists following up its stories. And we are not here to call out the practices of other hard-working journalists or the organisations they represent,” the article said. SMH journalist Michael Koziol described the article as "wild and hilarious" dummy spit. Daily Mail executive editor Lachlan Heywood issued a statement saying Media Watch’s program was “unprofessional” and noted Australian newspapers have been ripping off content from its publication for years. He also said Daily Mail credits the author and links to the original story, which Barry said is how the publication avoids a lawsuit from its competitors. News Corp, for example, has attempted to sue the Daily Mail twice in the last four years but both cases have been dropped. Barry said the Daily Mail has successfully circumvented copyright law, which is loose at best and needs to be tightened to protect journalists in the future. Herald Sun editor Damon Johnston told Media Watch the industry “needs to take a stance” against plagiarism with a combination of legal and public pressure. Barry called for Facebook and Google to do more to protect original journalism, sharing an example of Daily Mail content hacking SEO to become ranked over the original story. Last year, The Australian’s business reporter Damon Kitney secured a rare chat with casino magnate James Packer, flying to his ranch in Argentina to compile this 5000-word October cover story. Two hours after the story went online at midnight – and before the magazine even hit the streets – the Mail had all the juiciest details online, with help from its team in New York. Google then promoted it, branding the Mail’s rip-off as “highly cited” and pushing it above The Australian in search results, thus robbing the Oz of the opportunity to sign up new paying customers. Ranking a lifted story lower than the original genuine version is one way Facebook and Google, which provide half the traffic to most news sites, could support original journalism, Barry argued. In a recent submission to the ACCC inquiry, News Corp suggested Google should downgrade publications like the Daily Mail who rip off proper investigative journalism. Barry finished the Media Watch program calling for something to be done, adding that getting Google and Facebook to reward original work rather than those who steal it would be a “great start”. “What we also need to do is to redefine fair dealing, so that persistent and systematic copying or use of other people’s stories is defined as unfair,” he said.